1. It takes nearly 2/3 of the book just to capture Hart! 2. Interesting intersection of Native beliefs and white men. 3. It's August in Tulsa. Today's heat index was 106. I can't imagine hiking through the woods looking for Hart in the summer in Oklahoma. In fact, I couldn't go hiking today. The cops that did go looking are amazing. 4. Man, this book is dark, haunting, and sad. 5. 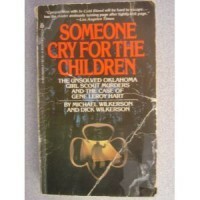 This is in the top 4 must read true crime books.